There's more than enough time to experience paradise. WELCOME TO THE PORT OF NASSAU! 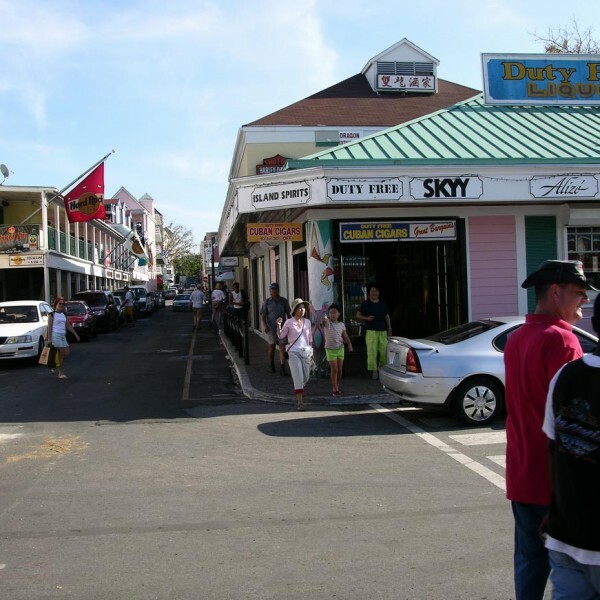 It can be a busy scene downtown Nassau when you arrive on your cruise ship, and for some, that may be exactly what your looking for. 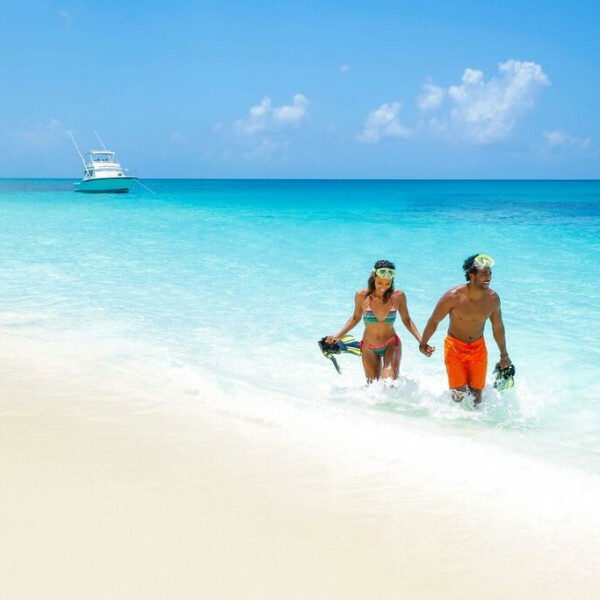 If that doesn’t sound like your cup of tea and you want to try something different, Sandy Toes can offer you a vacation from vacation – all you cruise ship guests in nassau bahamas, get away from all the noise and come and spend the day on your own private island. Snorkel, relax, or meet other fellow travelers and the Sandy Toes Beach Bar – our mission is to send you back with a true sense of what it’s like to experience the REAL Bahamas! Most of our products are excursions are designed around the majority of the cruise ship arrivals and departures so odds are, we’ll be able to have you for the day! 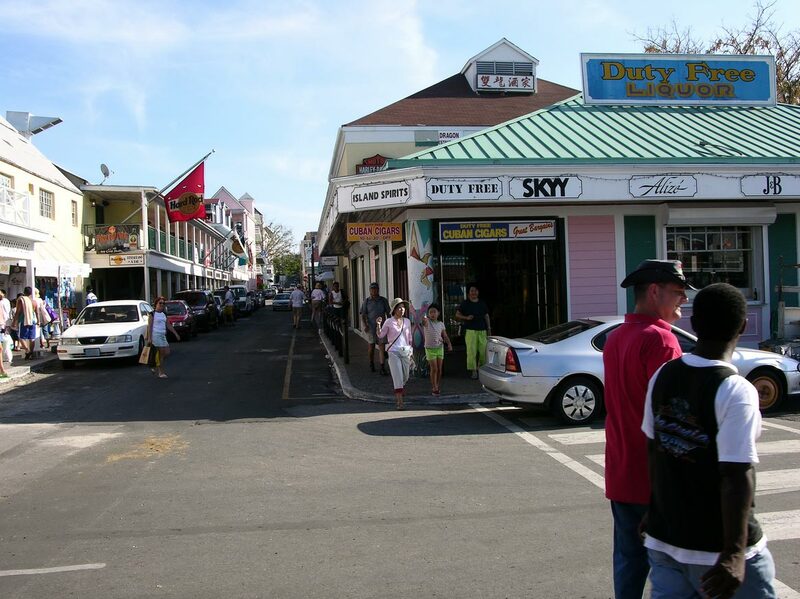 In order to participate in our excursion, guests must arrive in Nassau’s port no later than 9:00am, and depart no earlier than 5pm. As long as your port times meet these requirements you would be eligible to book our Full Day Excursion. Please contact us directly if you need further assistance. 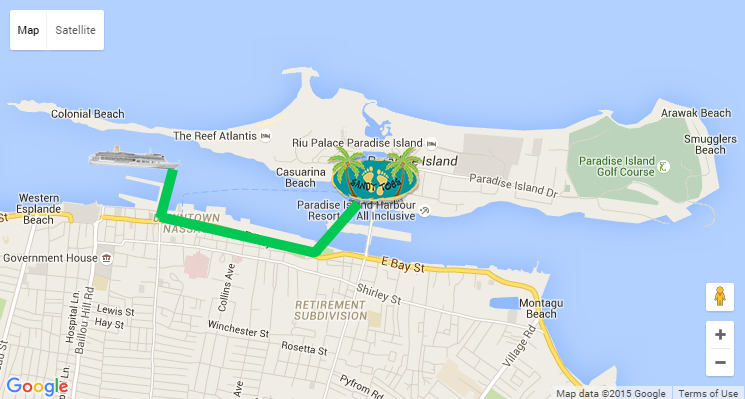 DIRECTIONS: The Paradise Island Ferry Terminal is just a short Land Taxi Cab ride across the bridge from the Nassau cruise port and the cost of this short 7-10 minute journey is about $5/pp. Land cabs are readily available and generally always waiting at the port’s exit point. Ask the cab driver to take you to the Paradise Island Ferry Terminal, where you will check-in at the Sandy Toes check-in booth. Sandy Toes DOES NOT recommend the water taxis as a reliable mode of transportation as they are unreliable with departure and arrival times and Sandy Toes will not be responsible for guests missing the excursion who decide to take the water taxi. I was just on the day excursion with my daughter Lily. We LOVED, LOVED, LOVED this excursion! This was without a doubt the favorite part of our cruise! I will recommend you to everyone and hopefully will be back again. Again, thank you for making memories for my daughter’s 16th birthday. It was a great day for us! Booked outside of cruise company and they couldn’t have made it any easier. Recommend getting the all-inclusive package. 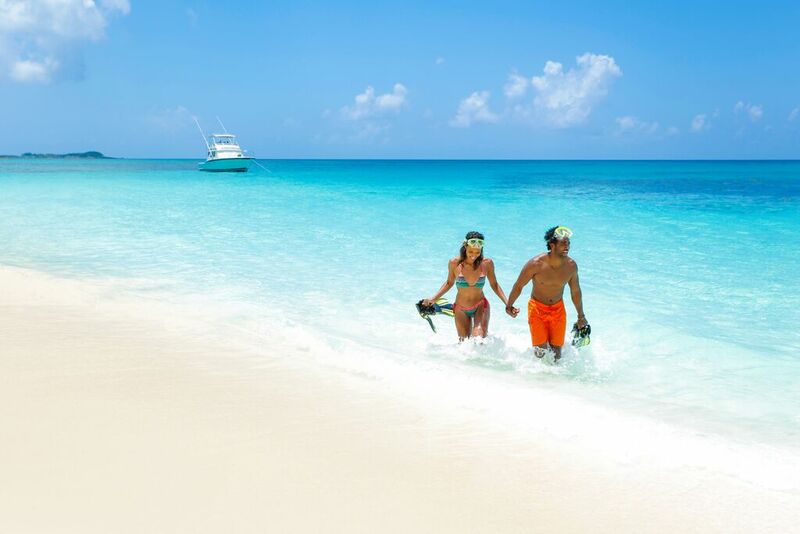 Make sure you go snorkeling with the group and explore all areas that Sandy Toes has to offer.